Try before you buy – download this sampler pdf (6 MB) of the first five issues, or get a preview of each issue over on the Look inside page. Then, when you see something you like, the easiest way to get hold of a copy or subscribe is to use the Paypal buttons below. It'll be with you in a few days. All issues out of stock.See below for PDF back issues. If you live in Sheffield and want to support local business, pick up a copy from the Site Gallery on Brown Street (near the station) or Rare and Racy on Devonshire Green. For PDFs, we will email you a copy when we receive payment confirmation. Please allow a day. You can provide an alternate email in the PayPal gift notes box if needed. A range of beautifully designed, limited edition Hack Circus products are now available to buy. 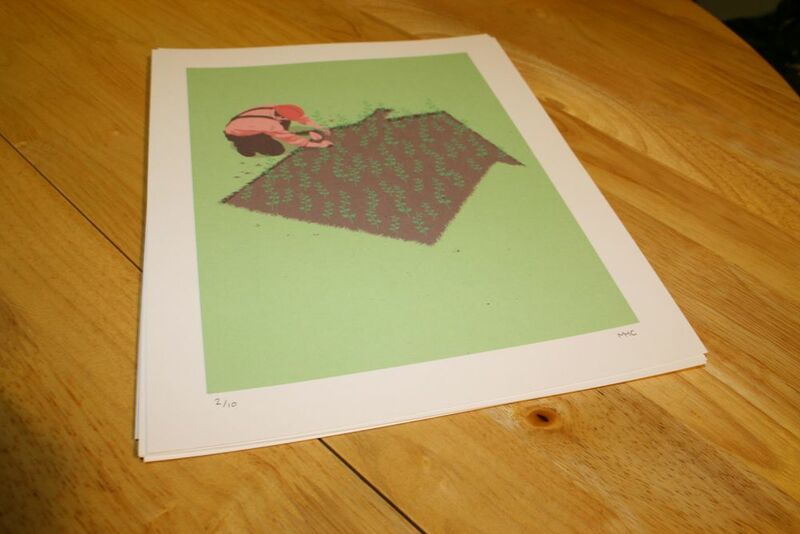 These witty and elegant signed prints were created to accompany Hack Circus articles by our regular illustrator, Matt Harrison Clough but would look gorgeous on your wall at home. 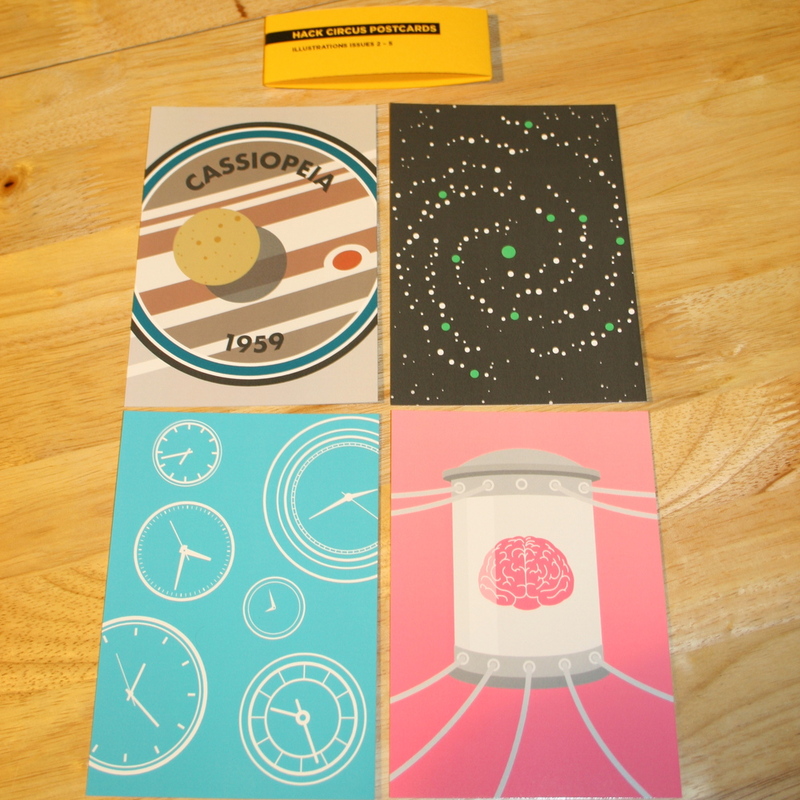 These stunning, vibrant postcard packs by our regular designer James Rogers were inspired by issues of the magazine. Craft the beginning of life in its cutest form, with these Amigurumi Conception Kits by Hack Circus contributor, Jan Hopkins. Beautifully designed and assembled for Hack Circus, to tie in with our Life issue.